According to the poll, 27% say that abortion should be legal in all circumstances, 13% say it should be legal in most circumstances, 38% say that it should be legal in few circumstances, and 20% say abortion should always be illegal....Most Americans have never favored using public funds for abortions for women who cannot afford them. According to the survey, 56% remain opposed, with only 39% favoring public funding for abortions. "I am a proud pro-life woman. Like so many young women who are pro-life today, I believe that science is proving us right every day. I am prepared to accept and respect that not all women agree with me. I know how lonely a woman can feel when she faces a terrible decision. 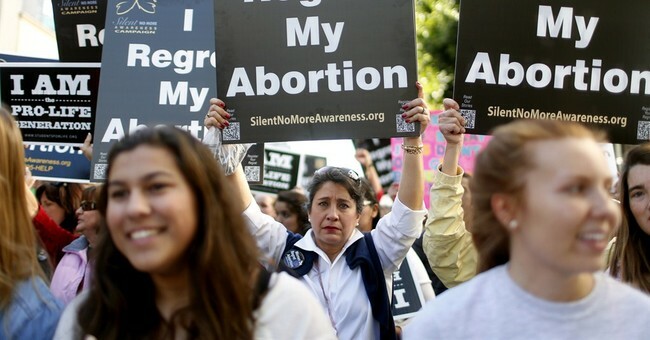 What we are not prepared to accept is that we are waging a war on women simply because we know that an abortion at five months is inhumane to mother and child." CPAC organizers came under some fire for somewhat de-emphasizing the life at the 2014 confab, but ACU Chairman Al Cardenas defended that decision in an interview with Hot Air's Ed Morrissey. Cardenas pointed that that virtually all speakers at the conference were pro-life and commented that it's clear conservatives have "already won" the battle on this issue within the center-right coalition. The CNN and Gallup polls cited above indicate that pro-lifers are winning the battle well beyond "the choir," too.